The secret of STUVA storage is that when children and their clothes grow, STUVA can grow with them. With STUVA storage you can quickly customise it to suit different storage needs thanks to large and small pull-out drawers, shelves and a pullout bench. 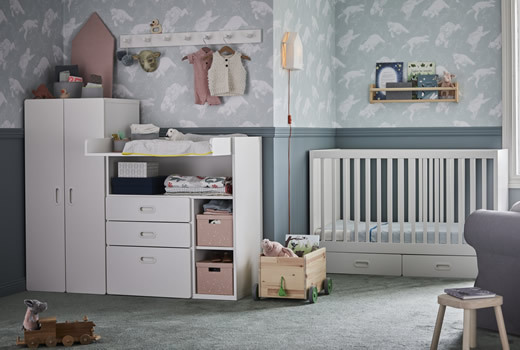 Click for our buying guide to see all the parts and combinations of STUVA Series before planning your child's room.